Coswick Hardwood is excited to announce that its new line of specialty hardwood flooring, Heritage Collection, will be available on the market starting January 2013. The new flooring line features 4 designer oak floors in Tavern and #1 Common grades that include a wide variety of natural “imperfections” and oak character marks, streaks and burls. Floors in the new Heritage Collection were created using bi-color technique, in which darker and lighter stains are used together for visual contrast and dramatic effect. The new flooring collection will be of interest to homeowners and interior designers who like incorporating traditional and modern elements in interior design projects. Presently, Coswick Heritage Collection is available in four colors: Pastel, Antique Patina, French Gobelin, and Terra. The colors span from aged beiges to rich earthy-browns. Use of bi-color technique, whereas lighter and darker stains are contrasted against one another, adds a touch of novelty to a traditional oak flooring style. Heritage Collection floors are available as solid and 3-layer engineered CosLoc 5G hardwood, and have a width of 5”. Coswick uses eco-friendly, formaldehyde-free glues for manufacture of engineered flooring. All Coswick floors come under Lifetime structural warranty, which guarantees that floors will retain their structural integrity for a lifetime. Heritage Collection flooring comes with factory-applied UV Silk Oil finish, innovative finish that has a silky matte surface gloss. UV-curing technology ensures excellent protection of Silk Oil floor surfaces against household solvents and food substances, such as coffee, red wine etc. Coswick Heritage Collection floors are perfect not only for residential, but also for public and commercial interiors, including country homes and cottages, bars and restaurants, children’s rooms, offices etc. 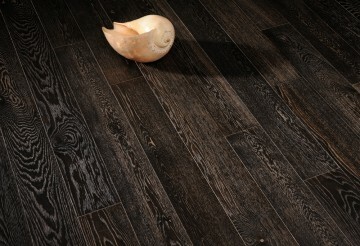 Already in production, floors from the new Heritage Collection will become available for purchase in Europe and North America in early January 2013. 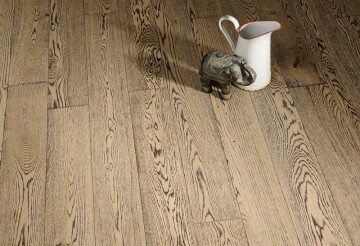 Samples of Heritage Collection floors can be ordered online free of charge.